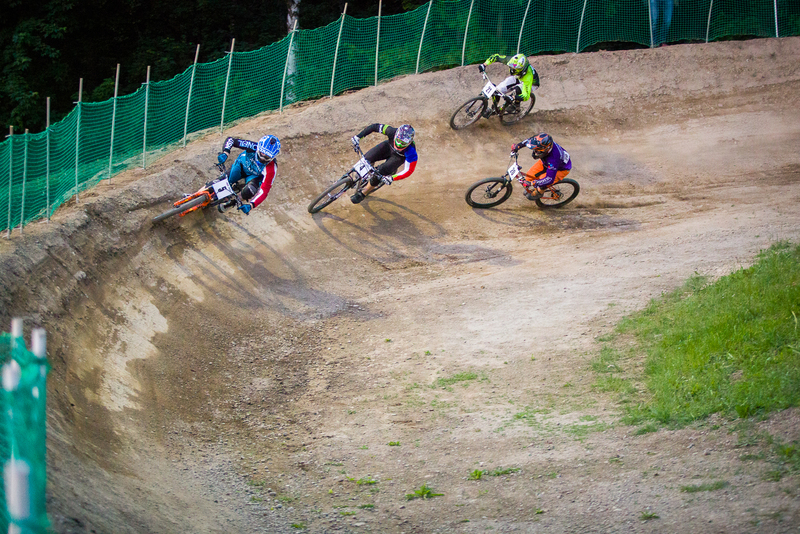 Scott Beaumont sat on the start gate in Val Di Sole, Italy for his 25th World Championships. It is an incredible history of racing and he was ready to go for gold again. Here is the team’s diary from the week. 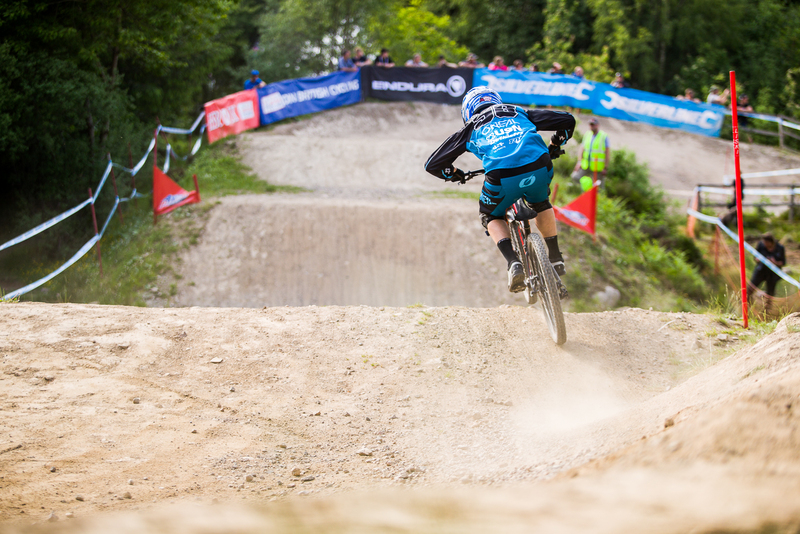 Here is the qualifying film from the 2018 4X World Championships which were held in Val Di Sole, Italy. 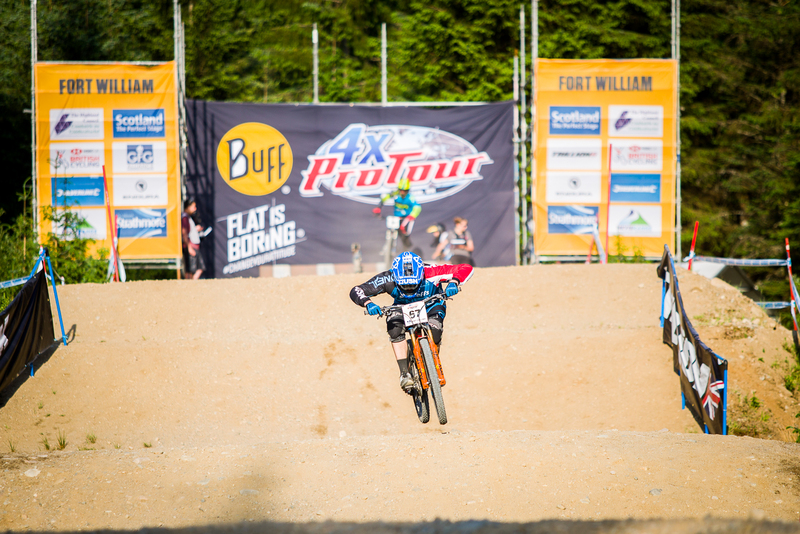 Here is the teams diary from the week in Fort William at 4X ProTour round 3. Celebrating Scott’s 40th birthday on race day certainly created a lot of memories for the team. 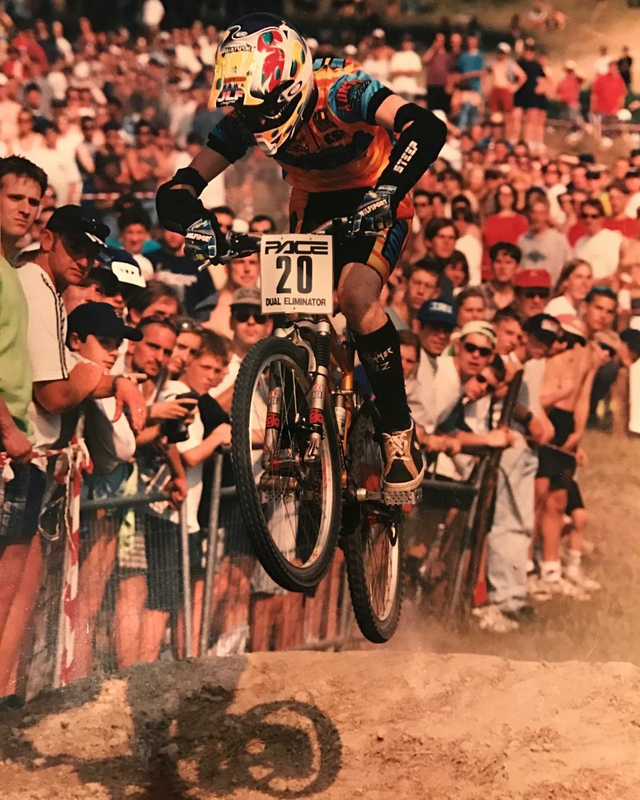 The Malvern’s Classic Mountain Bike Festival was one of my first mountain bike memories back in 1996. 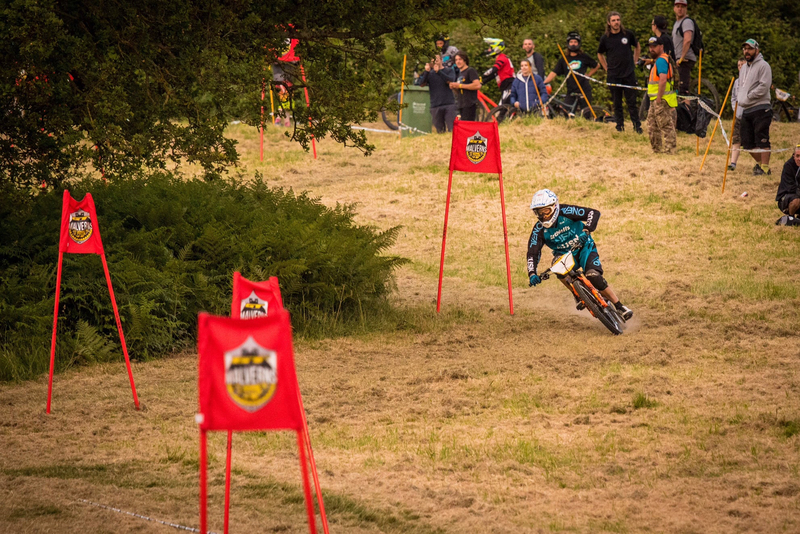 Transferring from BMX to MTB at that time, The Malvern’s was perfect for me. 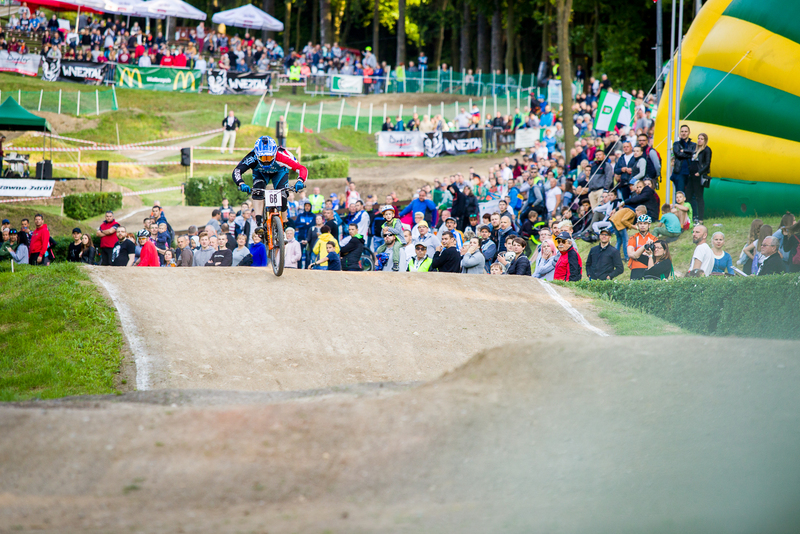 Dual Slalom, Dual Descender and Quad Eliminator events were perfect for my BMX background. I ended up finishing on the podium in those events but moreover I remember the huge crowds. More people watching racing than I had ever seen. The atmosphere was electric and it was an awesome event. Unfortunately in the late 90’s the event ended. Fast forward 20 years and The Malvern’s was back. 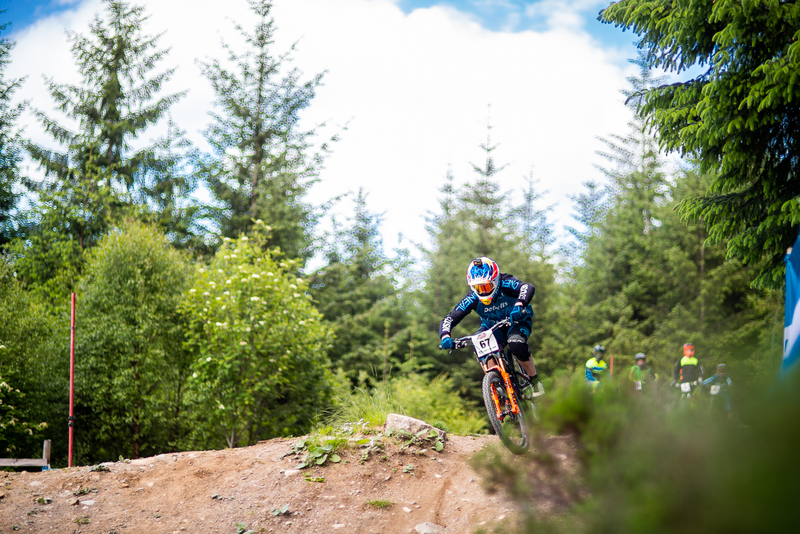 Organised by former Downhill organiser Simon Paton, everything was thrown at this event to make it a success, and what a weekend it turned out to be. 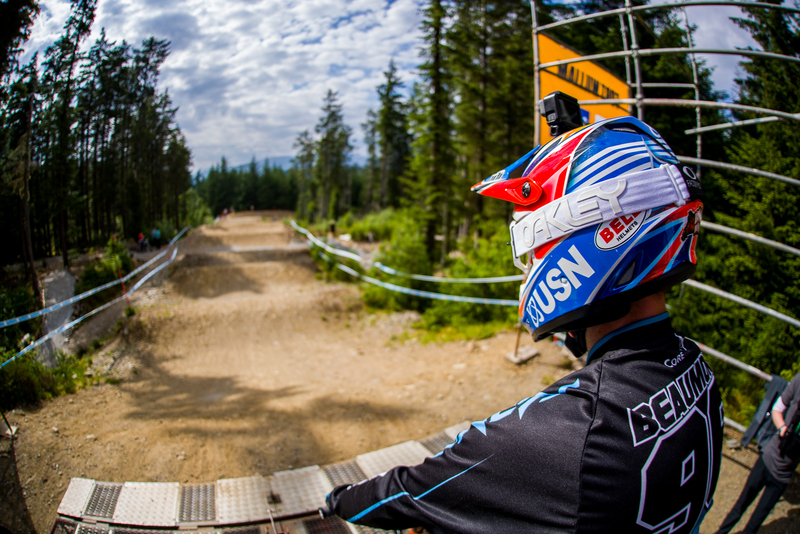 I raced in the Dual Slalom and Downhill events on Friday and Sunday. Saturday was an interesting day for us as I gained a sister in law! Holly’s sister organised her wedding on the Saturday and so we flew to Dublin, Ireland on Saturday morning and back on Sunday morning. It was a hectic weekend but one I won’t forget! 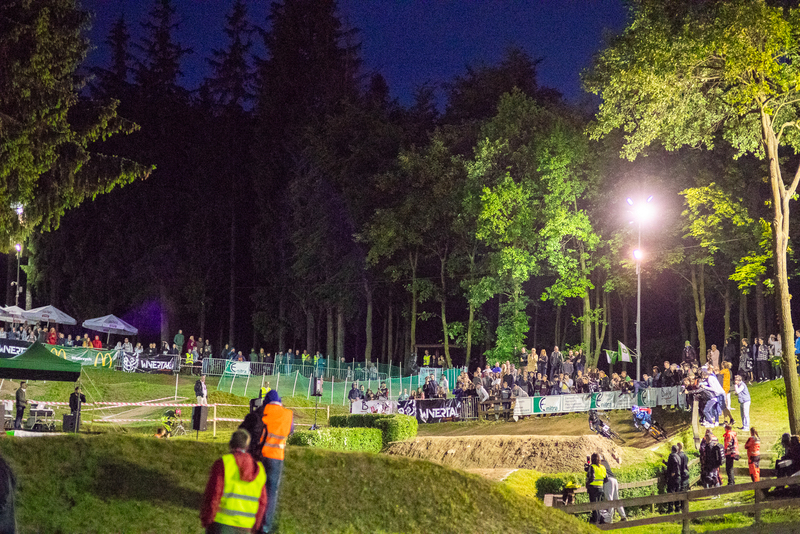 We arrived on Thursday as Simon Paton had asked me to set up the dual slalom course. It was a true old school feel. A simple grass field and some gates. 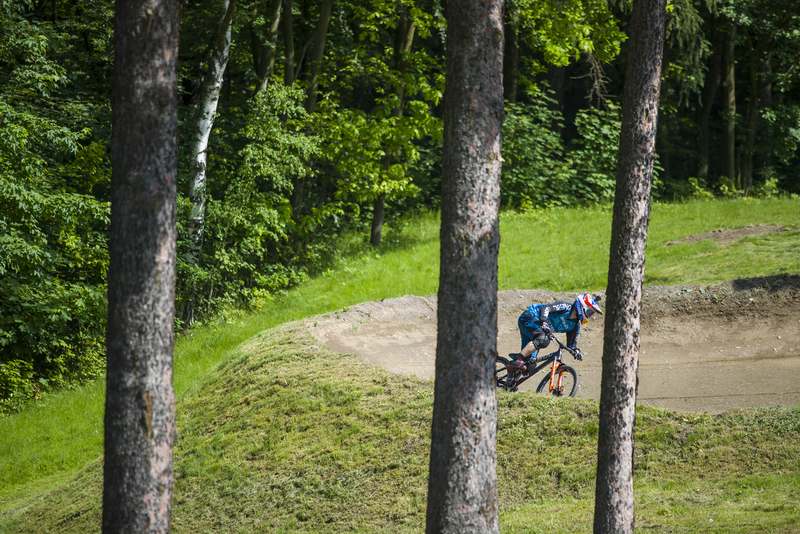 No jumps or berms. Just old school racing. On Friday morning we had some practice as the crowds began to flood in to the venue. In the afternoon we had qualifying. It was not great for me as a slide and then hitting a pole lost me vital tenths of a second. 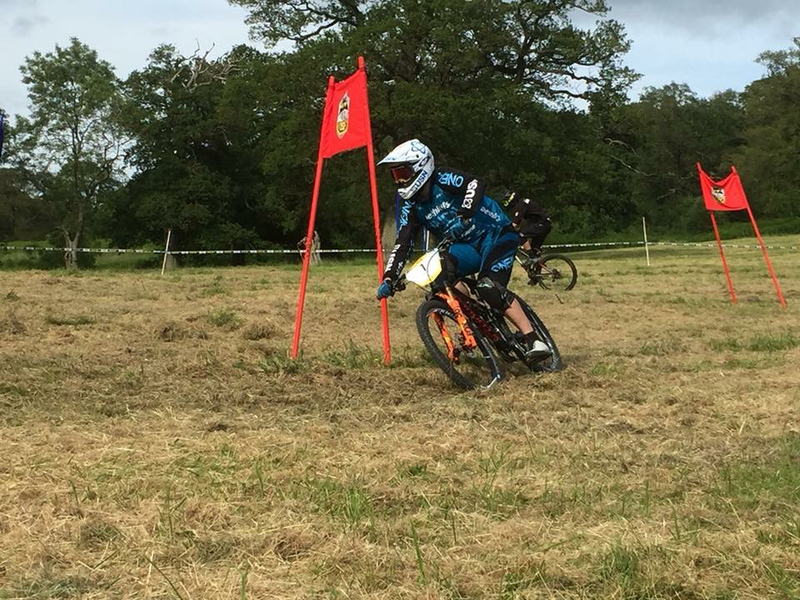 I placed 9th but that didn’t matter too much as I felt much quicker. 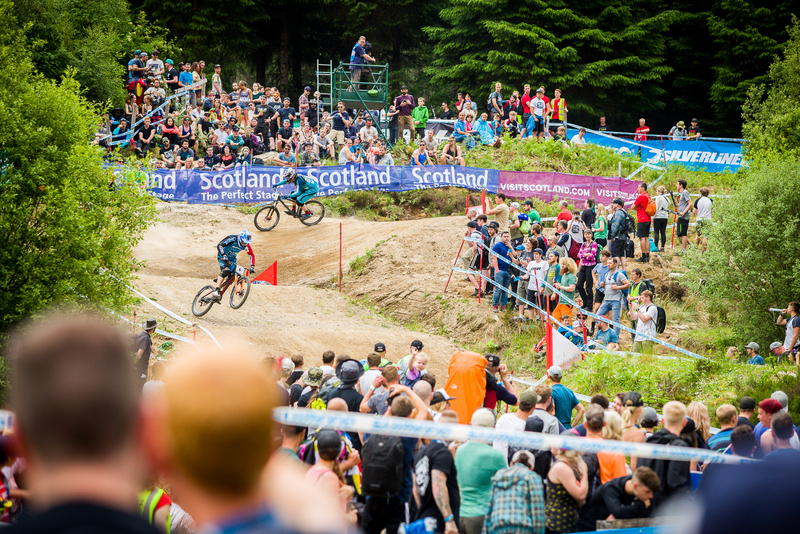 Onto the racing and slalom is a format where there are two riders racing head to head in the red and blue lanes. You do a run in each lane against your opponent and the combined times determine the winner. In the first round I had a good couple of rides to transfer to round 2. This was a bit tougher as I was up against a fellow 4X rider who is really quick. I won the first round by 0.2 seconds. I knew in the second race I would have to really push it to win. I made a great start and pulled a good lead. Then the crowd let out a huge oooooooooo and the other rider had crashed. I was able to cruise to the finish and transfer. In the third round I was up against former pro and mountain bike legend Dave Hemming. A cool moment for us both as we raced each other back in 1996. I was able to ride 2 good laps and continue my run. Next up the quarter finals. I was against the fastest qualifier. I made a great start and took the lead. It was close all the way until I clipped a flag and it threw me completely off line. I lost a lot of time and ended the race 2 seconds behind him. In run two I had to throw everything I had at it to see where I would end up. Again I made a great start and pushed hard. I led the race from start to finish, but unfortunately, I could not pull back the difference. That was the end of my racing and 5th place for my efforts. 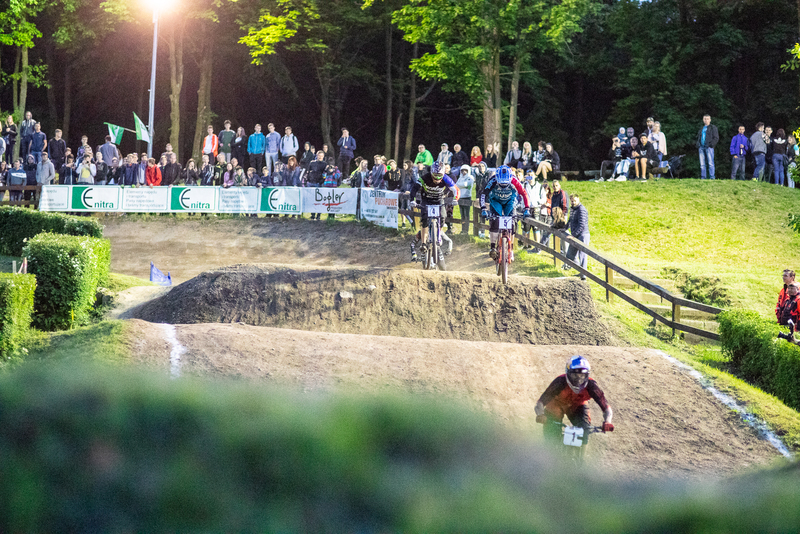 It was a fun race and in front of a huge crowd it was a decent night. As I then left for Dublin, my mechanic set up the team tent so that the crowds could look at my bikes during Saturday. Flying back on Sunday morning it was straight back to the venue and time for some Downhill racing. I hadn’t raced downhill in 10 years so was looking forward to a fun day. After a few practice runs we moved onto seeding. With a good run I was very happy to place in 4th crossing the line. I then had enough time to check out the festival and catch up with a few of my sponsors who were in attendance. Then it was back up the hill for my race run. Carrying much more speed and getting more used to the lines, I rode a great lap and felt on it…..until the final corner. I drifted a little wide and had to tighten my line up which caused me to slide a little bit. I nearly crashed and lost a lot of speed. Crossing the line it was good enough for 4th – just 0.2 seconds off 2nd position. I would not have won but I am certain without this tiny mistake I would have finished 2nd. It didn’t matter though. I had a great day and finished much better than I anticipated anyway. 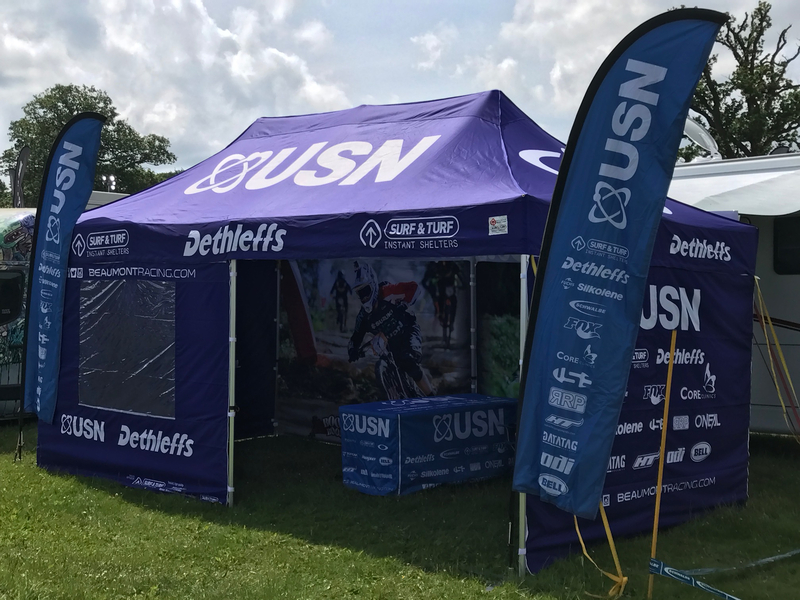 The stand looked great all weekend and we spoke to a lot of fans about the products we are using for 2018. 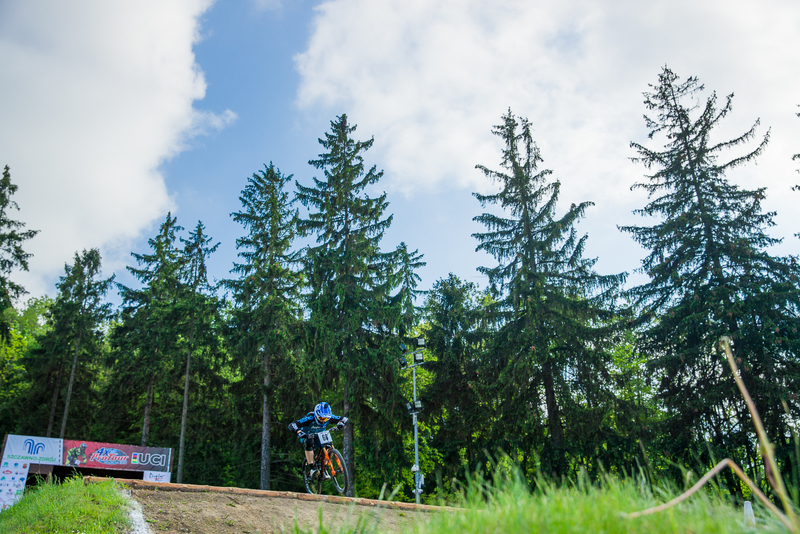 Next up for the team is the 2018 4X World Championships in Val Di Sole, Italy on July 6th. We are training every day working towards our ultimate goal. 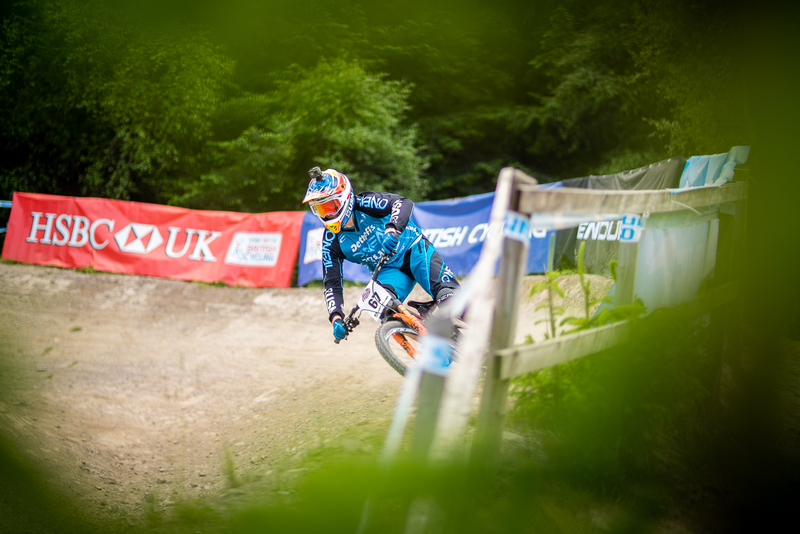 Here is the track preview for round 3 of the 2018 4X ProTour being held in Fort William, Scotland. 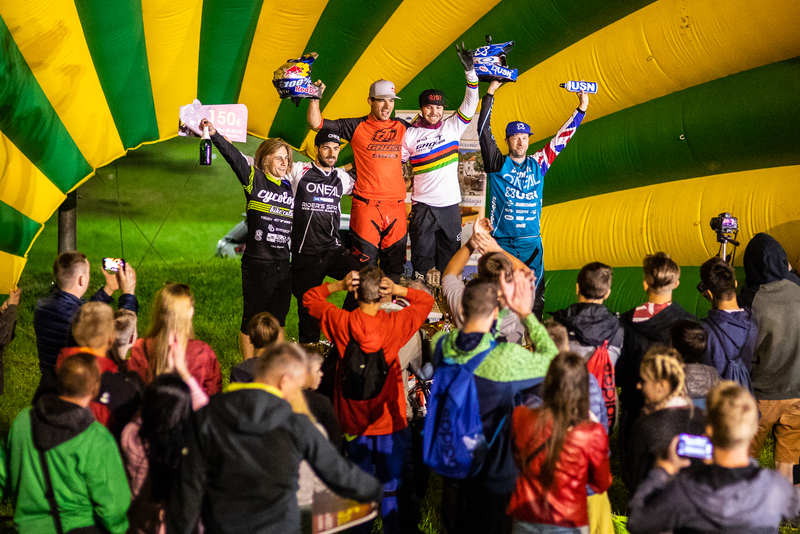 Round 2 o the 2018 4X ProTour was held in the beautiful town of Szczawno Zdroj in Poland. A track that Scott loves and has had a lot of success at in the past. Here is the team diary from the week.